Since Trump’s comments, articles are circulating that claim President Jimmy Carter once banned Iranian nationals in a manner similar to the proposal to ban Muslims. However, it’s only partly true. Iran sanctions during the 1980s included the cancellation of visas for Iranian citizens, but didn’t ban Muslims from entering or immigrating the U.S.
As Trump made headlines, the Visa Waiver Program Improvement and Terrorist Travel Prevention Act of 2015 (H.R. 158) quietly passed in the House of Representatives. The bill would require citizens of 38 participating Visa Waiver Program (VWP) countries who are dual nationals or travel to a designated state sponsor of terrorism—i.e. Iran, Iraq, Syria, or Sudan—to apply for a visa. This might not seem like a big deal, but it is. The European Union warned if the bill becomes a law, they would reciprocate the measures. That means even American tourists traveling to Iran would be effected when they visit Europe as well. A petition is currently circulating to stop H.R. 158 in its tracks. 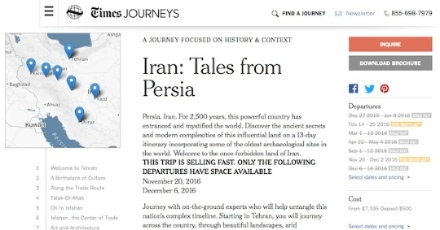 For about $7,195 (not including airfare), the New York Times is operating a 13-day tour of Iran. The “Tales from Persia” package includes a NYT journalist as your tour guide to explore this “once-forbidden land.” Depending on the time of year, your guide can be editorial board member Carol Giacomo, Paris correspondent Elaine Sciolino, or columnist Roger Cohen who will provide insight into “the traditions and cultures of a land whose influence has been felt for thousands of years.” Truth be told, you could get a better deal hiring a local guide. Here's the itinerary, if you're curious. The managing editor of Ettelaat newspaper was indicted for violating a media blackout on former reformist president Mohammad Khatami. The ban on publishing the images and quotes of Khatami commenced in February due to his support of Green Movement leaders who have been under house arrest for the 2009 post-election protests. Mahmoud Doaei is accused of publishing a photo of Khatami and quoting his interview with Lebanese newspaper As-Safir. The irony is that Doaei was closely tied to Ayatollah Ruhollah Khomeini, the founder of the Islamic Republic of Iran. 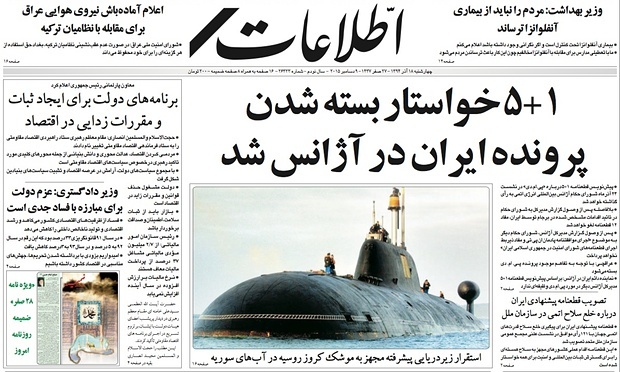 In response to the indictment, Ettelaat condemned media censorship in a rare front-page editorial. The article publically addressed to President Rouhani urged him to intervene to stop media censorship. It also mentioned Khatami’s full name several times. -- Man-made issues exacerbate Iran's water crisis. -- The fate of President Bashar Al-Assad is Iran’s ‘red line’ for Syria. -- Bomb kills 3 policemen near Iran’s border with Pakistan. -- Did Turkey’s president "threaten" Iran regarding negative media coverage? -- An ayatollah thinks working Iranian women are making men unemployed. -- Since 2014, Iran arrested 53 suspects and shut down 132 websites linked to ISIS. -- Iran is withdrawing fighters from Syria after significant losses in the IRGC. 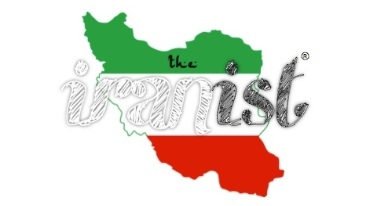 -- Saudi Arabia is starting a Persian-language news website. -- Swine flu kills 33 people in southwestern Iran during the past three weeks. -- Saudi-Iran rivalry sets scene for OPEC showdown over output. -- An interview with Qom’s liberal Grand Ayatollah Yousef Saanei. -- Green Movement Leader Mehdi Karroubi just underwent foot surgery. -- Iranian-American doctor followed SWAT team to save lives at the San Bernardino shooting. -- An Israeli-American chef talks about the path to Persian rice perfection. -- A realignment of Iran’s political factions underway as elections loom. -- Iranian migrants head home as Iran Deal boosts job prospects and a better future. -- Reimagining Iran’s brain drain. Is it necessarily a doomsday story? -- As of April 2016, Air France will be resuming direct flights to Iran. -- 70 percent of Iran’s science and engineering students are women. -- Tales from Tehrangeles: home to the largest Iranian diaspora in the world. The Atlantic Council in DC has a symposium December 17th on "Implementing the Iran Nuclear Deal: What's Next?"